Amanpulo, or ‘peaceful island’, is an escape from the manmade world and a dive into island life where nature has been unashamedly boastful. The private island of Pamalican, on which Amanpulo is the sole resort, is completely secluded and offers a variety of sea, sand and tropical island pleasures. 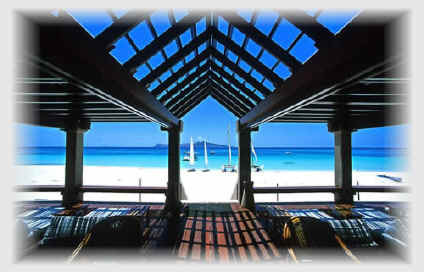 Amanpulo provides traditionally-styled accommodation in exclusive comfort. The 40 Beach, Hillside and Treetop Casitas are modelled on authentic bahay kubo dwellings, each with its own golf cart for island exploration.